Golden Agri-Resources (GAR) believes harnessing technology and R&D is a key component in achieving responsible palm oil production. We share the benefits of the latest agronomic developments with our plasma smallholders as well as with independent smallholders enrolled in the Innovative Financing Scheme. 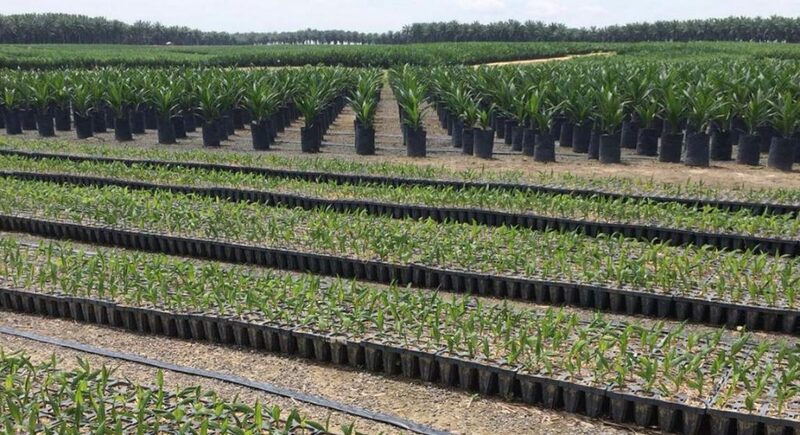 In the palm oil industry, the quality of planting material is recognised as the most critical factor in maximising yields. GAR has been using its proprietary high-yielding Dami Mas seeds in new plantings and replantings since 2002. The Dami Mas seeds were developed through stringent and robust breeding experiments conducted by SMART Research Institute (SMARTRI). Producing our own seeds also provides seed security and genetic purity in our seed supply. Besides working on improving the yield potential of seeds, SMARTRI also conducts research into disease resistance. In 2017, we announced a breakthrough in cultivating exceptionally high-yielding oil palm planting material, developed in our research facilities, SMARTRI and SMART’s Biotechnology Centre, through an advanced biotechnology programme. These planting materials – Eka 1 and Eka 2 – are registered in Indonesia’s Catalogue of Seeds and were approved for cultivation by the Directorate General of Plantation, Ministry of Agriculture. They will enable us to increase yields to the highest levels in the industry, without increasing land under cultivation. The new planting materials were developed naturally through conventional selection programme and tissue culture from elite palms. We are also collaborating internationally to increase productivity. 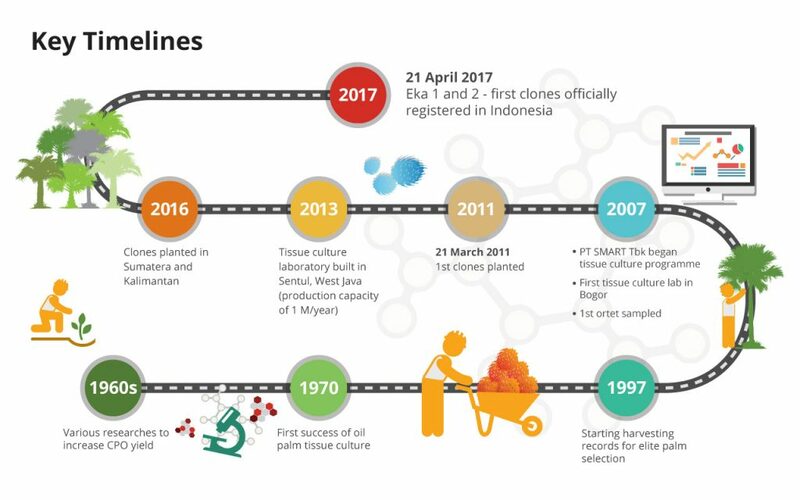 GAR is an active participant in the Oil Palm Genome Project, a worldwide initiative by a consortium of 16 reputable research organisations from seven countries. The project uses molecular biology as a tool to support conventional breeding. The main objective is to map the entire genome spectrum of oil palm varieties, including identification of specific traits such as disease resistance, drought tolerance, superior quality oil and high yield. We have a dedicated team in our Biotechnology Division and our staff has been involved in related research activities in Spain and France. As we are committed to environmental conservation, we work with the University of Cambridge through the BEFTA programme, to study biodiversity within oil palm plantations. Through BEFTA, researchers from SMARTRI and the University of Cambridge (Department of Zoology), conduct field studies in our plantations to understand how oil palm ecosystems work. Ultimately, our goal is to come up with habitat management practices that would benefit insect biodiversity and in turn, create better palm oil yield. All our work in improving agricultural productivity helps deliver UN SDG 2 which aims to end hunger, achieve food security, improve nutrition, and promote sustainable agriculture.